Legends in their sport. Legends in the community. This week, three generations of activist athletes take the stage at Wake Forest University for a powerful conversation as part of the Rethinking Community conference. 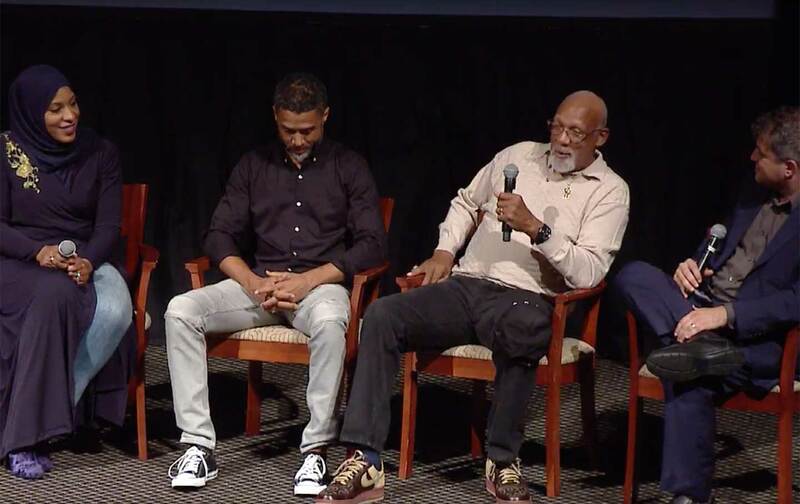 It’s me, your Edge of Sports host Dave Zirin, interviewing 1968 Olympic legend John Carlos, former NBA player Mahmoud Abdul-Rauf, and Olympian Ibtihaj Muhammad. If only there were something to talk about in the world of sports and politics. Special thanks this week go out to Melissa Harris-Perry, Shanta Covington, and Rolisa Tutwiler at Wake Forest.